Elisabeth Schedel studied Classics and English Philology at the Universities of Tübingen and Durham (UK). She completed her First State Examination degree for grammar and comprehensive schools in 2015. In 2016, Elisabeth Schedel started to work on her doctoral project entitled “Ambiguities of War. Studies in the Narrativity of Silius Italicus’ Punica”. 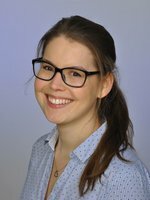 During her postgraduate studies Schedel also works as Research Assistant at the Research Training Group 1808 "Ambiguity – Production and Perception" in Tübingen. In February 2017, she took over the office of Vice Speaker for this group. Elisabeth Schedel's main research interests are Silius Italicus, ancient epic poetry, narratology, and in particular the phenomenon of ambiguity in ancient literature.